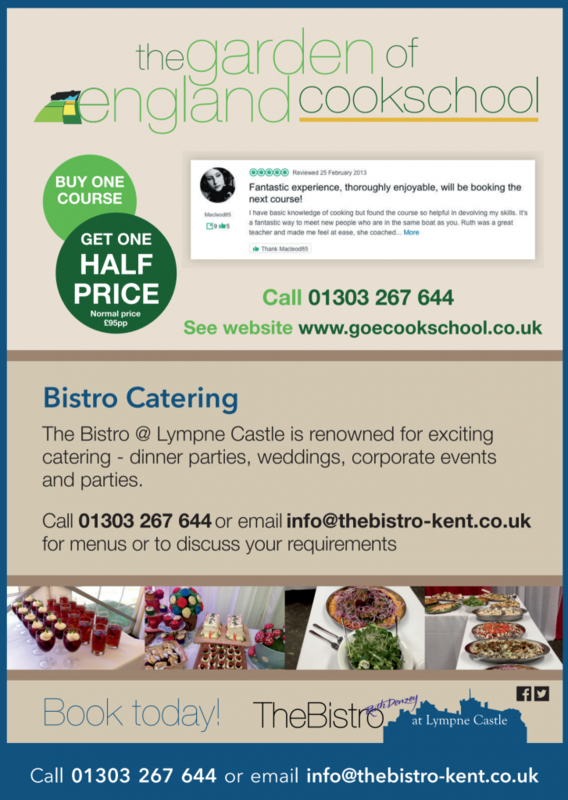 The Bistro at Lympne Castle is an exciting restaurant located at Lympne Castle, Kent. You need look no further if you’re looking for a quality restaurant in Kent – our delicious, authentic menu is sure to tickle your taste buds. This comfortable Kentish Bistro offers exciting culinary delights sourced with fresh and interesting ingredients from local farm shops. We operate an open-plan, light and airy restaurant with a rustic yet contemporary feel. Here at The Bistro, you can sit, observe and enjoy the preparation and cooking of your dish, allowing you to witness just how good fresh local produce can taste! We have a very talented and experienced chef who creates exceptionally mouth-watering dishes – using local Kentish produce wherever possible. 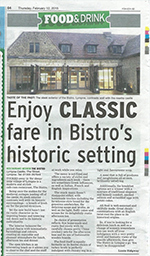 The freshness of our food is complimented through its preparation – you simply can’t get a better taste for home grown food and local produce than here at The Bistro perfect for those lazy Sundays or even just for a pleasant dining experience – please get in touch for more details on our menu or booking information. Evenings by arrangement, see also Events list.